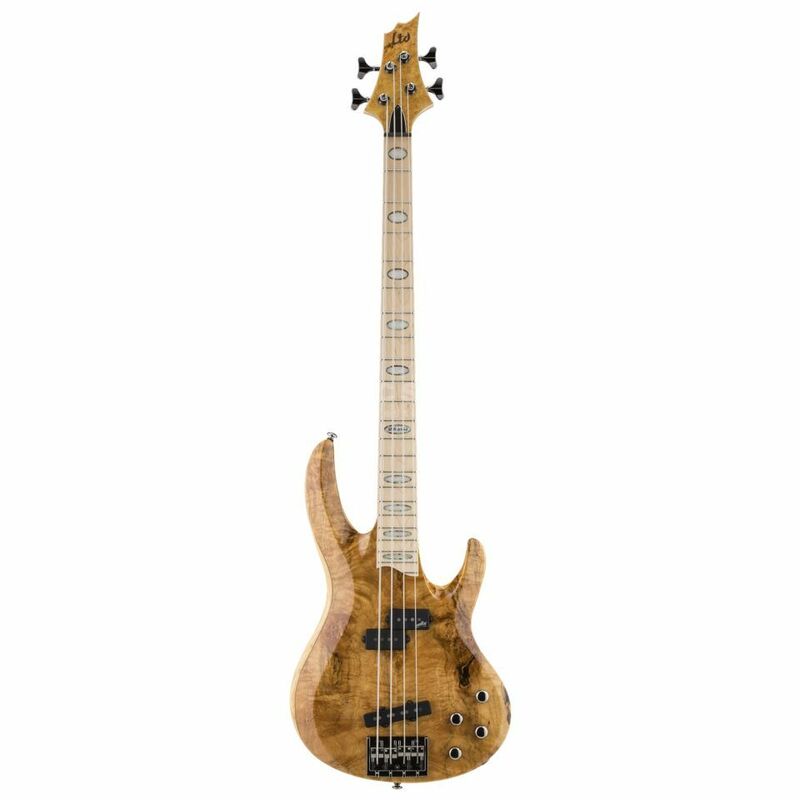 The ESP LTD RB-1004BM HN 4-String Bass Guitar Honey Natural is the result of a collaboration between ESP designers and Tower of Power bass legend Rocco Prestia. Taking over a year to design and build, the ESP RB is now his preferred instrument and now available to players worldwide. Premium features of the ESP RB-1004BM include a solid burled Maple top over a Swamp Ash body, five-piece Maple and Walnut neck with a Maple fingerboard, black hardware, Aguilar J and P pickups, Aguilar OBP-2 pre-amp and a Honey Natural finish.